Before we tell you what VFX Studios are doing, we need you to understand that in creating video ads or movies, there are 3 stages. They are important to create high-end quality images. The first stage is pre-production, where the director and scriptwriter prepare materials like the script, storyboard, casting actors and other things that are important in this stage. The second stage is production. In this stage director films raw footage and plays with actors to make story become realistic. The third stage is post-production, where VFX Studios creates some magic in movie and video ads. VFX is a short name for visual effects, which help to tell the story more effectively than other tools that are included in the post-production of movie and video ads. If you want to get a realistic environment, you must mix live-action footage with computer-generated images. Some scenes cannot be filmed due to the costs and danger for actors. Today VFX studios has become part of the filming process. They are affordable for all independent filmmakers around the world. All visual effects are part of movie or ads story at some point. VFX studios does all work in post-production, but work is so complicated that VFX studios makes preparations and plans during in pre-production and production. For example, we use multiple computer tools, software and technologies such as graphic design, modeling, and animation. A supervisor from VFX studios is always involved with the production from the first day to the last. They work closely with producers and directors to achieve the desired effects and images on screen. If you want to create an explosion in the scene and it is difficult to do in real world, then you should definitely use VFX Studios to make this happen. All VFX Studios have specializing departments that have unique skills that help to create realistic dynamics of wind and rain, and everything that your brain can imagine. These departments create, all physical things that surround what was filmed in the real world, like a storm with debris and cars that are flying around a huge tornado. When things fall they crash into anything in the way and into the ground. VFX Studios creates the simulation of crashing debris. They also build light clouds for sunny days or heavy clouds for rain, all depending on the context of the story and result we want in the end. VFX Studios have talented Technical Directors and they have a good sense of art and have received amazing technical training. We, in Fantastic Imago, have many talented people: composers, musicians, painters etc. At VFX Studios there is always excitement and a good feeling around the Studios. When you are working on creative and realistic visual effects you have a chance to create miracles that surprise people every day. 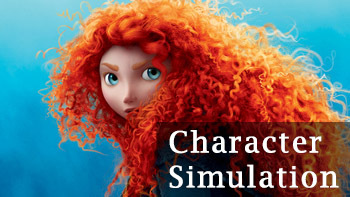 Our character simulation department works with the simulation of clothing, hair and skin. This department works closely with other departments such as Design, Modeling, Rigging, Animation and Fur. All of them work together to create physically accurate and visually pleasing images of hair, skin, clothing and accessories animation. All Character Simulation specialists work with the Director and Art Director as well as with clients, because in their mind they have clear picture of what they want. 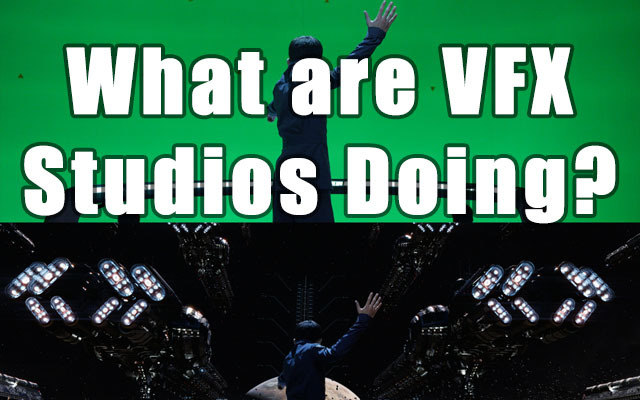 Our job at VFX Studios is to make it happen. VFX Studios works closely with the animation department. The animation department might need some specific attributes for a character, for example the character might need a tail and fur on his face and arms. VFX studios will make these attributes a reality and help make this character more believable and distinguishing from other characters in the story. The folds of a character’s suit and swing of a character’s long hair create the realistic imagery. The VFX Studios team brings more vividness to the story and creates life in the shots. The main goal of the crowd department is creating a large amount of characters to appear in shots. VFX Studios use a custom code and special software to combine the models, rigs and animated character clips into crowd assets. Here we try to make the rigs and models for shots as simple as possible so we can simulate thousands and thousands of characters in one scene. Creating proper crowd simulation puts more variables in the scene. VFX Studios are creating a simpler model to reduce the variables in the scene. 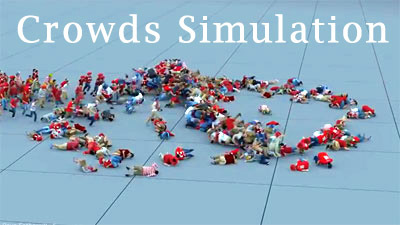 Each individual character in crowd simulation has a simple manner of behavior. If they see an enemy they will run away from him, if they see an ally they need to react like they see the friend. All scenes with many characters should be light and easily adjustable, that’s why VFX Studios is using a particle system. Each particle represents an individual character; particle systems are controlling their behavior. Imagine creating character keys and poses for 1000 characters in one scene. It would take an entire decade to do this in the classic way to animate each character in one shot. The particle system also gives characters the ability to think in a simple and primitive way; that they are reacting in a changing environment. We use many different techniques, but the main goal is to make crowd characters look and behave like a real crowd on the street. Compositing is a part of production where images of each character and element in a scene combine into one image. 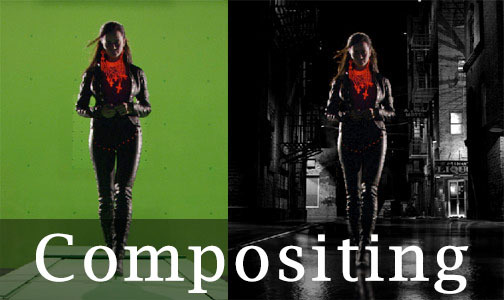 The Compositing department at VFX studios are where all images mix to create a final product. In the Compositing Department, specialist create additional layers of realism to each shot. They build a fog and digital matte painting that crafts an unbelievable and photorealist look for each scene. In the Composting Department, VFX Studios polishes the picture to the final stage: the final result that most people will see outside of the studio. In VFX Studio, Fantastic Imago, we go through each stage that we write above precisely. We bring the vision of the Director, Art Producer and Client to life.